IPv4 Market Group is a global leader in IPv4 transfers with over 90 transactions completed or in progress. The firm was founded in May of 2011. Its President is Sandra Brown, the Nortel Director behind the first ever IPv4 transfer, a $7.5 Million sale of 660,000 IPv4 addresses to Microsoft. She and her business partner, Executive Vice President of Business Development, Jeff Mehlenbacher, have a very long and credible IPv4 transaction history in the ARIN, RIPE, and APNIC regions. They will bring their considerable IPv4 expertise to bear for any firm interested in buying or selling IPs. To learn more, visit www.ipv4marketgroup.com or call 905-880-5906. 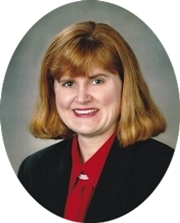 Sandra Brown, is the President of IPv4 Market Group and is an industry pioneer in IPv4 monetization. She was the Director of IT at Nortel who led the information technology team which conducted the highly publicized white market sale of IPv4 addresses from Nortel to Microsoft in March of 2011. She personally found the top bidders, led the marketing efforts, was the interface to the external legal team, led the technical Nortel team, and reviewed the bid process and bid outcomes. Prior to specializing in IPv4 Monetization, Sandra had a successful 20 plus year career in IT management. She knows all aspects of IT, from networks, infrastructure, and operations, to applications. Sandra has an MBA and combines a great deal of business acumen with technical ability to ensure the IPv4 Market Group is a well-rounded, service oriented, brokerage. CEOCFO: Ms. Brown, what is IPv4 Market Group? What is the concept behind the company? Ms. Brown: The concept behind IPv4 Market Group is to facilitate the trading of IPv4 addresses. We work in three regions currently. We work in Europe in what is called the RIPE (Réseaux Internet Protocol Européens) region, we work in North America in what is called the ARIN (American Registry for Internet Numbers) region, and we work in Asia in what is called the APNIC (Asia Pacific Network Information Centre region, so we work in the three regions globally. In those three regions, we facilitate trades of IPv4 addresses, which are a scarce resource now. There are only 4.2 billion IPv4 addresses in the world just because of the characteristics of the technology. In addition to the three registries I named, there are two more in Latin America and Africa. They are running out of IPv4 addresses, and because of the scarcity, companies are now trading them. With the emerging trading of IPs, there is an opportunity for brokers such as us to facilitate these trades much like a real estate agent would do in the real estate market. What we do is bring together buyers and sellers to trade IPs across the globe. CEOCFO: For those of us who are less technical, would you tell what an IPv4 address is? Ms. Brown: IPv4 addresses have been around since the late ‘60s, and they were created by the academic community and also in the US by the defense community. They were used there first and it is basically the foundation on which the current internet is based, where when you go to a website and you sometimes see the four-part numbers that determine traffic destinations on the internet, those four-part numbers are IPv4 addresses. There are 4.2 billion of them globally that serve as a numerical possibility, and those numbers are used to determine where traffic goes. With the shortage and the fact that those 4.2 billion have basically been distributed by the internet authorities, now there is a trading market that has emerged. CEOCFO: Is it the number that is being traded or is it the name as well? Ms. Brown: The names are called domain names, and they are traded as well, but that is not what we are doing. Domains are traded elsewhere, and the domains get associated with the IP address through a different process. We are just trading on the numbers. CEOCFO: If you get a number, you can name your domain following whatever protocols are available? Ms. Brown: Right, you can associate a name with any IP address, and those change constantly and over time. CEOCFO: How vital is it to have an IPv4? Why is there such a market? Ms. Brown: IPv4 is the foundation of the internet, and without IP addresses you would not have an Internet. It is the binary system on which the internet is based. It is the foundation of the internet, and there is a successor system called IPv6. IPv6 has many more numbers. Some people say there are as many IPv6 addresses as there are grains of sand on Earth that will eventually replace IPv4. It is a very complex process for IPv6 to replace IPv4, and until IPv6 replaces IPv4, IPv4 will very much be the foundation and will continue to be needed. CEOCFO: Is there a going rate in different areas for the addresses? Are they all considered equal? Ms. Brown: More or less, it is a commodity where one IP address is pretty much the same as another, but they are traded in different quantities. Some companies have the need for a very small chunk of IP addresses, but you can imagine that the big telecom companies and the larger companies need much larger quantities. A small mom and pop ISP might need 256 IPs, but a telecom company such as Verizon or Time Warner in the US needs millions of IPs. There is quite a contrast in quantity, so when you are talking about pricing, you will find that the more you buy, the lower the price, and the fewer you buy, the higher the price. It is just because of the optics of trading, and it is how like anything else if you buy a T-shirt you might pay $20 for one, but if you buy 200 T-shirts you might get the price down to $3 or $4 a T-shirt. It is much the same concept. CEOCFO: When did you realize the potential and form the company? Ms. Brown: In my past life, I was the director of engineering at Nortel. Nortel was in bankruptcy and we were sitting talking about the distribution of the assets at Nortel, and Nortel had a /8, which is a very large quantity of about 17 million addresses. We were saying the world was running out of IPs and the IP addresses at Nortel must have a value. One of the things I did, was I started contacting the large companies in America and said we had a large number of IPs at Nortel, would you be interested in purchasing them? Ultimately, through these contacts at these large companies, it culminated in an auction for Nortel’s IPs, which then culminated in the purchase by Microsoft of Nortel’s IPs. It was the first public transaction of IPv4 addresses in North America at $11.25 per IP. From that, after I left Nortel and the bankruptcy, I formed IPv4 Market Group with my partner, Jeff Mehlenbacher, and IPv4 Market Group was born. CEOCFO: How do people find IPv4 who may be looking to buy or sell? Ms. Brown: The best way is to come to a broker such as IPv4 Market Group because we have sellers who come and ask us to sell their IPs on their behalf. If a company is looking to buy comes to us and says they would like to buy, for example, a /18, then we have various companies with various size IPv4 blocks for sale. We match the buyers and sellers together at the going rate price. In that matching process, we bring together all of the variables. It is based on what region they are in. We get agreement on price ultimately based on the block size, and then there are other variables that have to be considered. Usually, if the buyer and seller are not in the same jurisdiction, then you have to get agreement on the court of law for the agreements that the IPs are traded in. There are other things such as, if not in the same country, what currency will be used, and some of those kinds of things. We provide the legal documents to enable the sale: the Asset Purchase Agreement, Non-Disclosure Agreements. We facilitate the transfer through the Registry. We arrange escrow services, if desired. We also guide the process so that both buyer and seller know the current market situation. Ultimately, working through a broker is by far the easiest way to make a trade of IPv4 addresses. CEOCFO: Is there much competition? Are there many brokers today? Ms. Brown: Yes and no. We consider ourselves to be a full service broker where we provide all the services associated with a transaction. I think if you look in all the regional Internet jurisdictions, you will find that there are several smaller brokers. What we do is we try to differentiate ourselves based on our position as a full service broker. In providing the full service, what we do is we provide top of the line quality service. By that, I mean we are focused on customer service, returning calls and emails promptly, we find the answers for people when we don’t have the answer at hand, we help people even when we know it is not necessarily a revenue opportunity for us, and we try to do the right thing ethically all the time. We have a ton of knowledge and experience versus some others who dabble. In the RIPE region for example, there are 20 brokers listed but there is no cost to listing a broker in RIPE region versus in other regions there is a cost. You find there are fewer brokers in those other regions where they have to actually pay to get listed. In the RIPE region, anybody could put down they are a broker, but that does not necessarily mean they know what they are doing. In our case, we have a great amount of knowledge and experience, and we share it openly with our customers because we are very transparent in conversations. On our web page, we are transparent. We publish pricing; we publish the process to do transfers. I think we are the only broker that does that kind of thing, so we are honest, knowledgeable and experienced, and we share information so that people know we are transparent and they will come to us repeatedly when they need to buy or sell IP’s. We will tell them whatever they want to know whether they use our services or not, ultimately. CEOCFO: Do you find that most companies are aware of the complexities and so the need to work with you, or is it still an area that people or companies are not as familiar with as they should be? Ms. Brown: I think if companies want to trade IPs, they are very aware of the complexities and therefore they do come to a broker. Their first words are that they do not know what they need to do and they ask for help. We are very transparent. We tell them what the process will be, we tell them current pricing, and their immediate reaction is that they are so relieved that they found someone who is willing to tell them what to do and just does not tell them they need to sign a bunch of paperwork up front to get the information from us. We are willing to share openly, and we believe that we are the top broker in terms of number of transactions completed. We get many repeat customers coming back to us, and we believe that is because we are so open about sharing information. It is those initial customers coming to us and getting the experience of being told right away “here are the ten steps to do a transaction”. Here are the ten steps; here is the first thing you need to do. We can help you with these things and we are very open and willing to get them through that complexity. Ms. Brown: That is an interesting question. I would say that the marketplace has been a little bit smaller than I would have expected when we started, and I think the evidence of that would be the transfer records. Each individual Internet registry publishes transfer records, and there are fewer transfers published than I would have expected. I think that IPv4 Market Group has conducted a large percentage of the facilitated transfers, so we have done quite well. We believe we are the most active brokerage in a fairly slow market. I think the market is slow for probably two reasons. The first is that only two registries, Europe and Asia, are actually out of IP’s. Just recently, North America was reduced to its last bundle of IP. The market in North America is just emerging. The second reason I think it is a little bit slow is because the larger companies like the telecom companies have stockpiled resources to get them through the early stage of depletion. I do not think those companies have come to the markets yet. For those reasons, I think the overall market is a little bit slower than I would have thought when we first went into the business three years ago. I think we are doing quite well, and I think if I could look at it as a pie, the pie is fairly small and I think we have a pretty good chunk of that pie. CEOCFO: Do you anticipate heating up in the future? Ms. Brown: I do, but I think it hinges on technology. I talked a little bit about IPv6, the new standard, and there is another thing that could constrain it. It all really depends on these technologies. The first thing is that many companies are able to use a technology called Carrier Grade NAT (Network Address Translation), which has a short term called CGN, and what it does is allows one IP address to be used by multiple devices, sort of like IP sharing. That really stretches the use of the IPv4 addresses that a company already has. The second thing is IPv6, and many companies have implemented IPv6. As additional companies implement, it will reach a tipping point eventually where if enough companies get IPv6, then IPv4 will ultimately be replaced. The question is where is that tipping point and how long will IPv4 last? Ultimately, it is a niche kind of business that could have a life span of five years, or it depends on those two technologies. Is it five years or is it 20 years? It is really hard to project. I think it will pick up for a while, but it could just be a five-year pickup. CEOCFO: Are there other areas you may look into or other types of services? Ms. Brown: This is what our company does full time and when we first started the business, we intended to do this full time. It is a bit of a lifestyle choice. My partner and I are at a stage in our lives where this could be the last thing that we do in our careers, and when it ends, so too do we go into retirement. I think that if you look at my partner’s and my commitment, it is to do this for five years. If it goes longer, we will go longer, but if it does not go longer, then perhaps we will go and do something else. I think that is fine. CEOCFO: Your site indicates - honesty, knowledge and experience. Why is that the first thing one sees when they come to your site? Why is that so important for you personally and for IPv4 Market Group? Ms. Brown: I think I talked about that a little bit. I really think the key to success and the fact that we think we are leading in this business is our transparency. I talked about how we share information. We publish prices; we think we are the only broker that does that. We publish the transfer processes and some people would consider the publishing of prices and the publishing of the transfer process kind of like the secret sauce, but we do not look at it that way. We look at it as the fact that we share information. The sharing is our secret sauce. We look at it as the fact that we do this full time as our secret sauce. Therefore, the sharing and honesty, openness and transparency are the keys to our success. That is what we are projecting as our image and that is how we want to be viewed, as the company that tells it like it is.